The Minister of State for Civil Aviation, Dr Mahesh Sharma informed the Lok Sabha today that eleven AAI airports have improved in service quality from 4.14 in Quarter-I (Jan-Mar, 2014) to 4.24 in Quarter-II (April-June, 2014) and 4.32 in Quarter-III (July-Sept, 2014) on a 5- point scale against world average of 4.04, 4.06 and 4.07 respectively. Airport Service Quality (ASQ) Survey is carried out by Airport Council International (ACI) on quarterly basis. Kolkata Airport improved its Airport Service Quality score from 4.42 (41st rank) in Quarter-II to 4.66 (27th rank) in Quarter-III and was top amongst the AAI Airports. Kolkata Airport also received ASQ Award in best improvement category in Asia Pacific Region by ACI for the year 2013. Customer Satisfaction Index (CSI) Survey is carried out six monthly at 53 AAI airports by an independent agency engaged by Airport Authority of India as per MoU with Ministry of Civil Aviation. The weighted average score of CSI has improved from 4.16 in Round-I (Jan-June 2014) to 4.23 in Round-II (July-Dec. 2014) on a 5- point scale. In ASQ/CSI Surveys, parameters are rated on the scale of 1 to 5. Wherever the scores are low, airports are advised to improve upon the standards. The Minister of State for Civil Aviation, Dr Mahesh Sharma informed the Lok Sabha today that the waiting time for passengers at domestic Terminal 1 and Terminal 3 at Delhi Airport is well within the OMDA (Operation, Management and Development Agreement) standards. Delhi International Airport Limited (DIAL) has installed 12 self-service check-in kiosks (CUSS-Common use self-service) at Terminal 1D of Indira Gandhi International Airport, New Delhi which are being used by Indigo and GoAir Airlines. At Terminal 3 of Indira Gandhi International Airport, New Delhi, 6 CUSS are being used by Lufthansa, Jet Airways and Air India. The service is well appreciated by the passengers and, hence, other Airlines are also advised to use CUSS at Terminal 3. Five self check-in kiosks (3 at domestic and 2 at international terminal) are already available at Chennai Airport. The Minister of State for Civil Aviation, Dr Mahesh Sharma informed the Lok Sabha today that the non-aeronautical revenue of AAI due to the effort and utilization of various avenues had increased from Rs.819.10 crores in 2010-11 to Rs.1241 crores in 2013-14 making a growth of about 52% in 3 years. AAI had already introduced various new concepts to increase the non-aeronautical potential like introduction of Master Concessionaire in the field of F&B, Duty free shops and advertisement, Express Courier Terminal and Common User Cargo Terminal. Efforts have been made by AAI to exploit various avenues for increasing the non-aeronautical revenue over the past few years. As a part of initiative, area utilized for non-aeronautical services has been increased by more than 10% per year for most of the airports. At Chennai Airport, the area under non-aeronautical services has been increased from 23119 Sqm in 2010-11 to 42996 Sqm in 2013-14. Similarly, at Kolkata Airport, the area under non-aeronautical services/revenue has been increased from 49668 sqm. to 600029 sqm. in 2013-14. 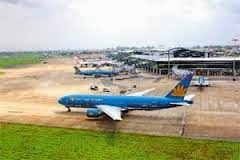 In case of Trivandrum Airport, the increase in non-aeronautical areas is from 3217 sqm in the year 2010-11 to 4029 sqm. in the year 2013-14. The performance of Airports Authority of India (AAI) is assessed by the Government every year based on MoU parameters entered into by AAI with GoI. This is monitored by Department of Public Enterprises (DPE) for all Public Sector Undertakings including AAI.